Tracy is a licensed Professional Engineer and has a Bachelor of Science Degree in Electrical Engineering from Florida State University. His diverse background within the electric utility industry brings more than 19 years of experience and leadership to Talquin. 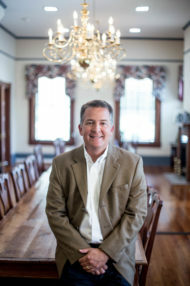 Prior to coming to the Cooperative, Tracy served as Vice President, Engineering and Operations, at Jackson Purchase Energy Corporation in Paducah, Kentucky where he worked from 2006 to 2011. Prior to 2006, he served as Sr. Vice President of Electric Operations at Lumbee River EMC in Red Springs, North Carolina. Tracy is married to Leigh Ann and they have two daughters.